We are recognized for our lovely event space and working with brides to create the most amazing storybook wedding day ever. Beyond that, we have just begun to extend our reach – and become a helping hand in the community. With the community, we bring attention to and assist organizations doing important humanitarian work in and around Chautauqua County. 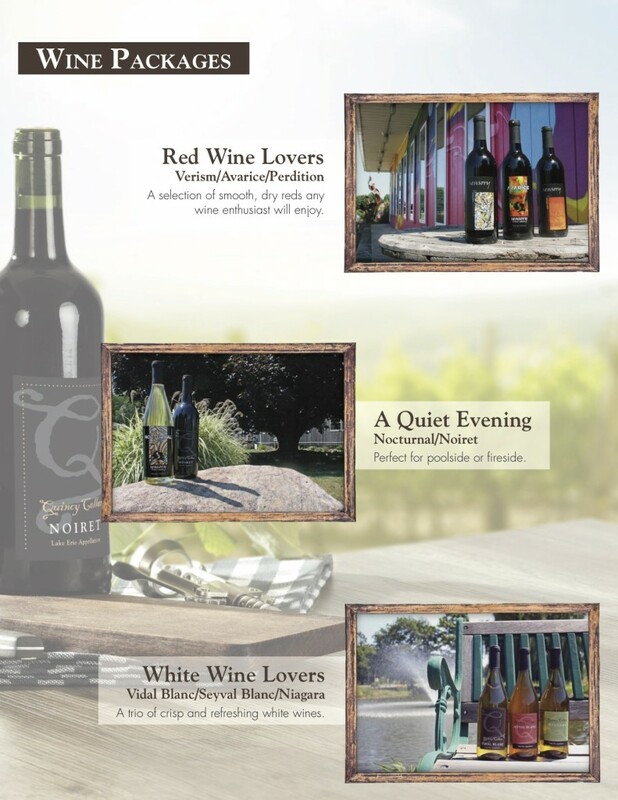 Quincy Cellars will partner with you in presenting your agency’s fundraiser. Host an event at our site or, sell our wines and your organization reaps the profits. 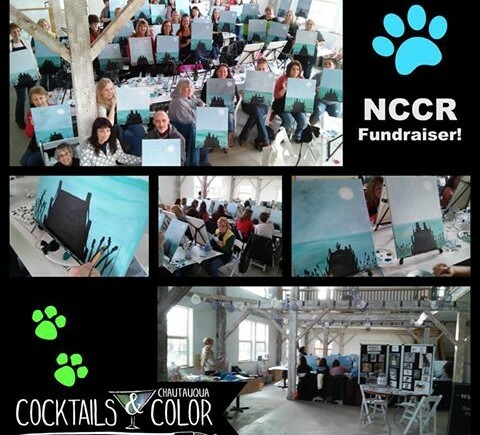 Recently we partnered with the Northern Chautauqua Canine Rescue (NCCR) to host a Cocktails and Color event. The funds raised at the event went to NCCR. NCCR, formed in 1999 is a non-profit no-kill shelter helping the neediest dogs and puppies in our area – the strays, orphaned and abandoned – dogs are not euthanized but instead given a second chance at life, thanks to the community’s support. If you are not familiar with Cocktails and Color – it is a local business that runs trendy DIY “sip and paint” programs. 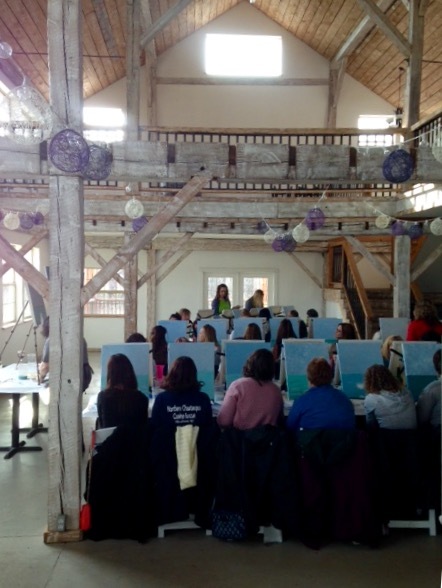 Here is how it works – first, NCCR decided to host a Cocktails and Color program at Quincy Cellars to meet their fundraising needs. Next, an artist, Kate Tarkowski of Westfield, with Cocktails and Color, was commissioned to design a scene especially for the NCCR event. Community members were invited to come join the fun – attendees were asked to pay a fee which was allocated to the cost of the event and to NCCR. On the day of the event, the artist gave out all the necessary art supplies and instructed participants in creating their own version of the day’s painting. Participants sipped on wine while painting to get the creative juices flowing! 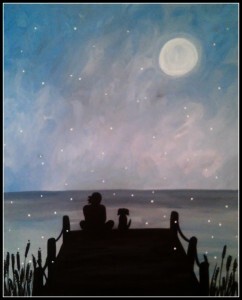 In the end “amateur” painters get to paint in a pleasant setting, without messing up their own home, and take home a one-of-a-kind painting s/he made while contributing to a worthy cause! 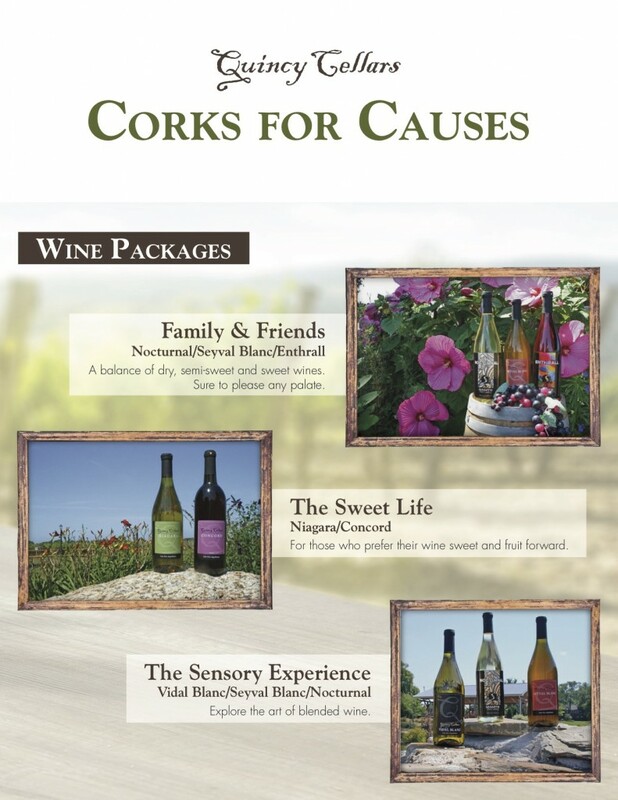 Corks for Causes is another charitable offering from Quincy Cellars. It is a fundraising program for organizations in search for ideas to raise funds. 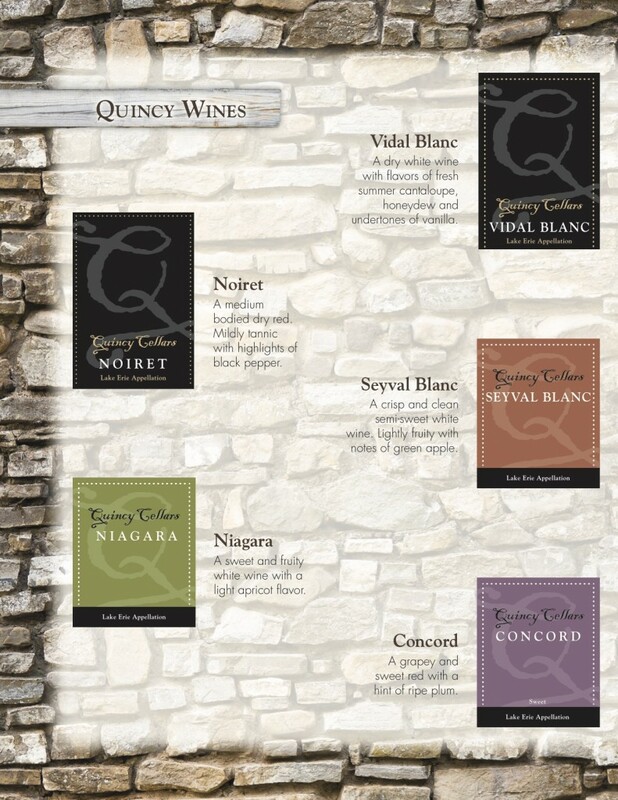 Quincy offers a variety of wine packages and single bottles to be sold. The charity gets to keep 30% of the total profit! Think of it like Girl Scout cookies, the scouts, or your volunteers, take products – in this case, wine – to the consumer, the consumer buys the wine, you deliver it and your organization raises funds! Genius. We have a package that will suit every wine lover- one is the 1. Family and Friends package – it includes three bottles of wine – Nocturnal, Seyval and Enthrall – offering a balance of dry, semi-sweet and sweet wines. Sure to please any palate. And 2. White Wine Lovers including Vidal Blanc, Syval Blanc and Niagara – a trio of crips and refreshing white wines. Consumers could also choose a single bottle of say, Quincy’s Concord or Noiret. 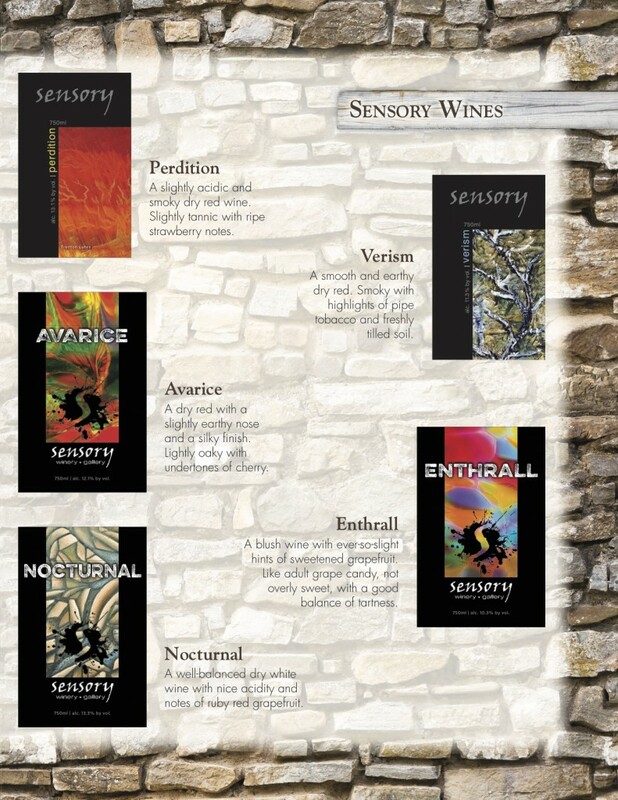 Customers could also pick Sensory Winery blends such as Perdition, a slightly acidic and smoky dry red wine. Slightly tannic with ripe strawberry notes – or, Enthrall, a blush wine with ever-so-slight hints of sweetened grapefruit. Like adult grape candy, not overly sweet, with a good balance of tartness. Individual bottle prices range from $12.50 to $18.50 and the packages start at $25.00 and go up to $48.00.